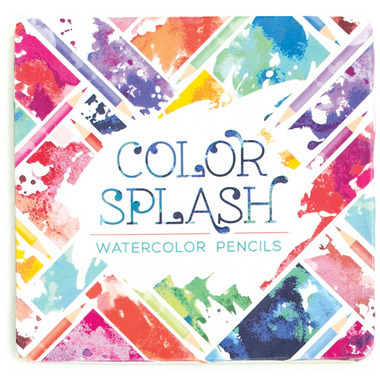 A whole new world of amazing coloring effects await you with the Color Splash Watercolor Pencils Set. Make amazing shades, blendings and textures… just add water! 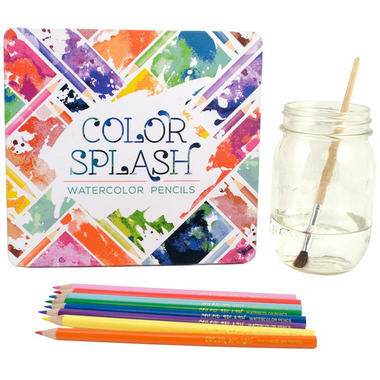 Color Splash is a set of 24 watercolor pencils in a super cute tin case that'll make your art different from the rest. You can add watercolor effects to your coloring by applying a base layer with Color Splash on the paper first and then adding water with a paint brush. Try different shading effects, blending with two different colors, applying water before and after secondary layers… the possibilities are endless with these extremely versatile pencils. Experimentation is the key to bringing unique effects to your art.